During your two night stay at the Retreat you will either be in the Barn or in the Bunkhouse. 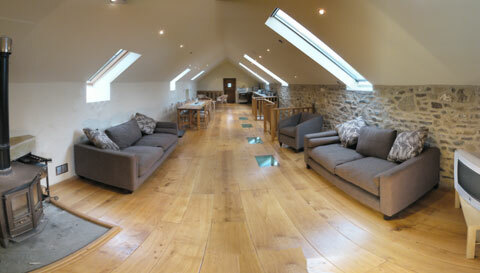 If you are in the Bunkhouse you have full access to the communal space in the Barn. 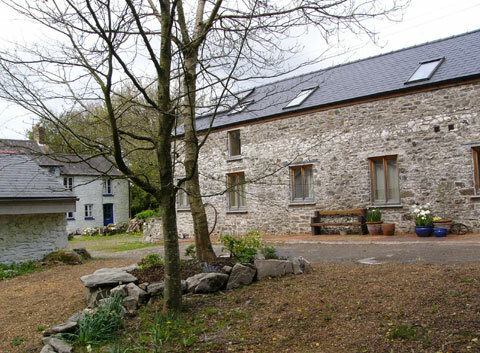 The barn is a renovated stone building dating back to 1850. All of it’s rustic charm has been preserved during the renovation but brought up-to-date with cast concrete, glass and natural paint finishes. 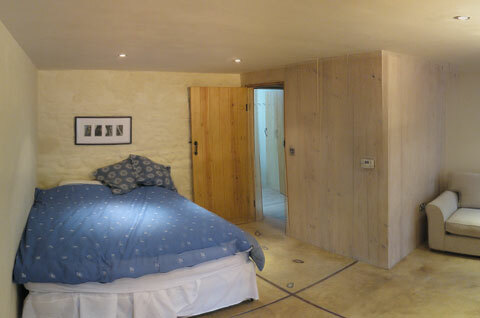 The barn comprises of 4 bedrooms accommodating nine guests. 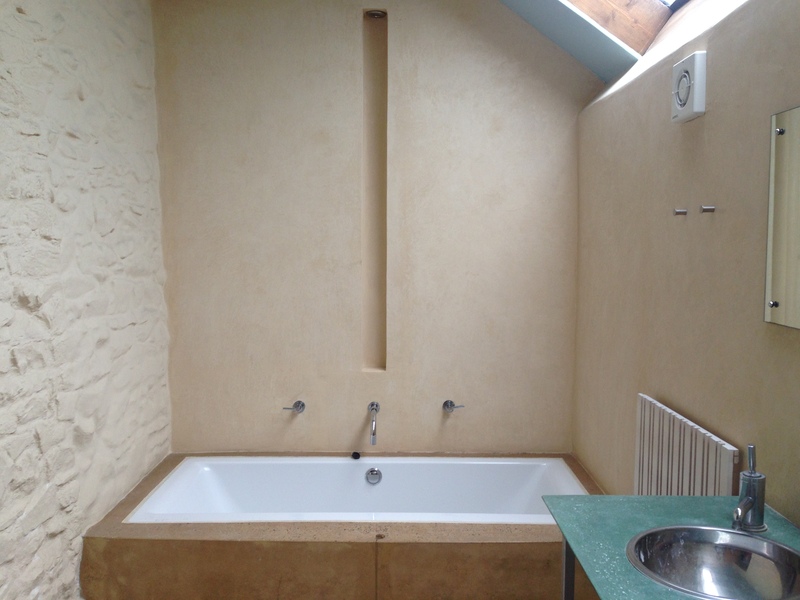 There are two washrooms with WC facilities, one comprising of a shower room and the other a shower with a sunken bath. On the first floor is the communal living space and where we will gather for food and socializing throughout the retreats. There is a cosy wood burner and seating area to snuggle down into after a day out in the green gym. A vast communal table and excellent kitchen facilities make up the rest of the first floor. 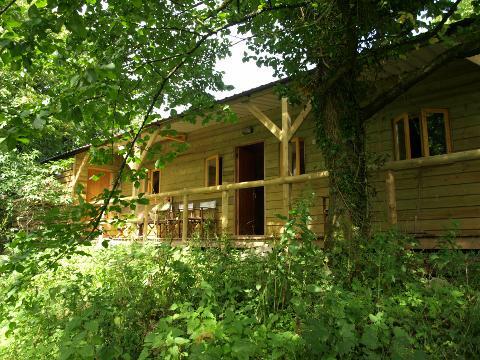 The bunkhouse is a simple timber building with two bedrooms and a communal room. 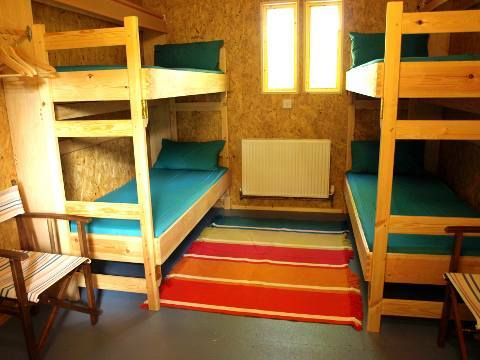 Each bedroom has two sets of bunkbeds providing 8 sleeping spaces. 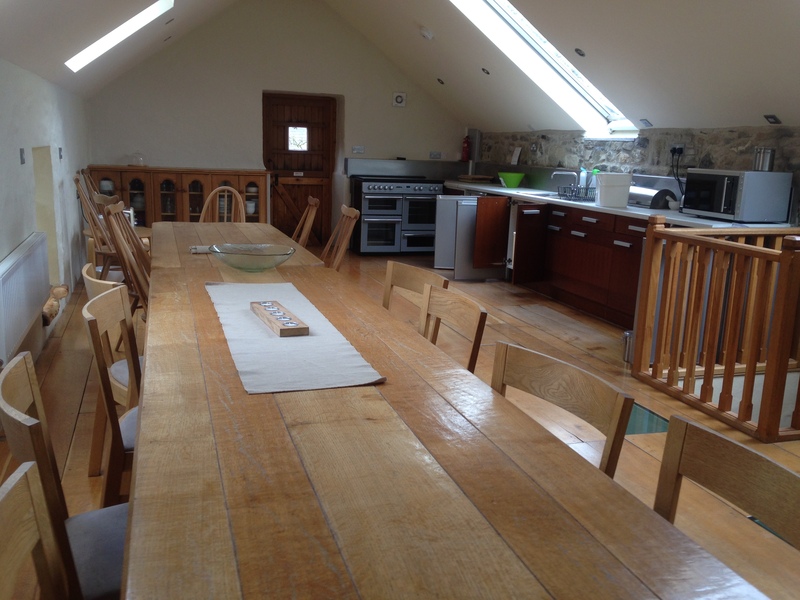 There are simple tea/coffee making facilities rather than a full kitchen in the central communal room but you have full access to the communal living space over in the barn. The bunkhouse has central heating and has a veranda overlooking the meadow. 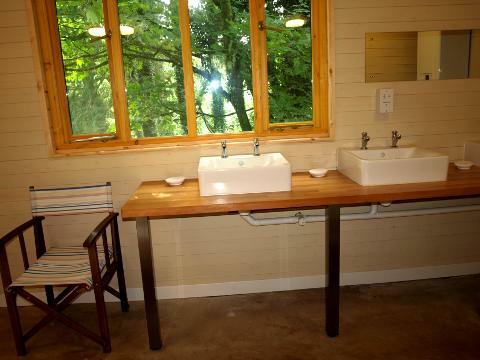 Adjoining the bunkhouse is the shower block with three showers, three toilets and three sinks. We supply the bed sheet and pillowcase but we ask guests bring a sleeping bag or duvet. We hope that during your stay with us you not only benefit from the physical activities on offer but you also make new long lasting friendships with your fellow retreat guests.